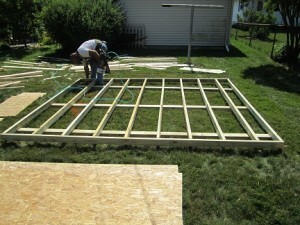 The foundation of a storage shed is the first and most important part of installation process! Building the right foundation for a storage shed is extremely important. 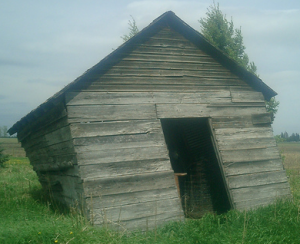 The photo on the left shows a great example of what a poor foundation and time can do to a shed. Regardless of how strong the building construction is, if the shed foundation is poor it will not stand the test of time. Click here to learn more about the process of obtaining a building permit for your storage building. Does my Shed Need a Foundation? Generally, smaller sheds of up to 8×6 do not need a foundation. Small sheds can be rested on crushed stone with either treated wood foundations or concrete foundation blocks. Large sheds will need to have strong foundations. Considering Backyard Buildings smallest shed size is 8×8, all of our sheds will need a foundation setup prior to the arrival of one of our installers. We recommend our customers to use a concrete slab for their shed foundations. In preparation for the arrival of our professional installers, the build site must be properly leveled and should have natural drainage and no standing water. This will insure that your shed will remain strong and stable for many years to come. Your concrete slab should be the same width as the storage shed. The slab can be no greater than 1/4″ out of “square”. In certain markets that experience frequent hurricanes, 1/2″ x 8″ “J” type anchor bolts should be set in the concrete around the entire perimeter of the slab (except for the doorway) projecting approximately 2 1/2″ above the slab grade and approximately 1 1/2″ in from the edge. The finished slab surface needs to be at a minimum of 4″ above grade. 16X20 — 50 — *Piers or foundation may be required by state. 16X24 — 55 — *Piers or foundation may be required by state. Lastly, it’s important to consider the frost line of your region. If frost lines are not considered, your shed may move due to seasonal freeze and thaw changes. This means that the foundation will need to be built to the frost line. Once again, you will need to contact your local building inspector to determine the frost line for your area. What Shed Foundation is Right for Me? While there are other methods to building shed foundations, these are the two types we suggest to use. Choosing the right foundation for your storage building will make the entire process of installing a shed much easier and will allow your shed to stand up strong to the test of time! Once you build the foundation, we can do the rest! If you have any general questions regarding foundations, please contact Backyard Buildings at 855-853-8558. Heya i’m for the primary time here. I came across this board and I in finding It really useful & it helped me out much. I hope to provide something back and help others like you helped me. Hello,I plan to have compressed gravel as a foundation for an 8×10 shed. Is this wise? Yes, that is acceptable for a foundation. What is your opinion on “Dek-Blocks”? Hi Ken. Yes, that is fine. Besides the obvious, having a level shed foundation is important to prevent an abundant amount of sitting water. For example, if you have large holes underneath your building, puddles of water will form causing many different problems. Go ahead and use up as much dirt as needed… Have a great day! Hello! I simply want to give an enormous thumbs up for the nice info you could have here on this post. I will likely be coming back to your weblog for more soon. I live in Florida and have sandy soil. Can I just level the ground for a 4×6 vinyl/resin shed and put the shed directly on the ground, or will I need to put down a bed of crushed shell, gravel, etc.? It would be best to put gravel underneath the shed. If you place your shed directly on the ground, it may not allow excess moisture to evaporate. Please give us a call at 855.853.8558 if you have any further questions. Have a great day! 1. Set 4 CCA corner posts in concrete down to the frost line. 2. Dig about an 8-10 inch trench around the perimeter, between the posts. 3. Put about 6″ of leveled and tamped down AB3 gravel in the trench. 4. Lay out 6X6 CCA timbers (2 high, between the posts) and drill through with rebar for stability. 5. Backfill around the timbers with AB3, inside and out. 6. Build the shed walls on top of the timbers and attach to the corner posts. Please give us a call toll-free at 855.853.8558 and we can help you further. Have a great day! We are preparing to put together our new 8X6 Resign shed on our concrete slab on the side of the house. The problem we are having is that the slab dips lower towards the center for drainage. How do we go about creating a level foundation? What type of foundation would be best and or easiest? This will be both our first times doing a project like this. Any suggestions will help. I have plans for a 12 X 16 shed and plan on using 10inch poured concrete piers for a foundation. How many will I need if I use 2X8 rim joists and floor joists? I have sandy soil and no frost problems. How deep should they be set? Im going to build a 10 by 12 shed. I have a lot of cinder blocks will that be good enought to build on? If so what should I put over the level soil sand, rock and how deep do i put it on? 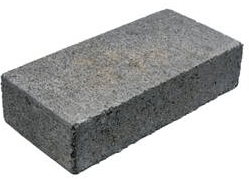 We don’t suggest that they use cinder blocks, but, a solid block would be acceptable, or they can use pressure treated 4 x 4’s for the foundation, crushed gravel. Feel free to give us a call if you have any further questions! Thanks. I am considering purchasing a 16×24 Everest Tall Barn and using it as a workshop/additional living space to include a full bathroom. For this reason, I am planning to run utilities to the building including natural gas, water, sewer, etc. Since there is no way of knowing where the floor joists will be, there is no way to know where to locate the sewer line for proper flow (connection location) through a concrete slab. Therefore, I was hoping to have a standard footer with craw space installed and attached the Everest on top of it (just like a house). This way I could access the utilities by removing sections of the floor so I could run the sewer line (and other utilities) to exact areas of the building. Is it possible to have the building constructed/attached on top of this type of footer system? Thank you for visiting our blog. Can you tell me what city and state you live in? Based on that, I can give you the number for your closest servicing branch. One of our representatives may have to visit your build site for more background information. Feel free to give us a call at 855.853.8558 as well! Have a great day! I was going to have a 12×24 shed installer however the area is unlevel . The front would be on the ground but as you go back it would be in the air. Was wondering if I dig holes and intall post, would that work. If so how many and how big any other suggestions would help. Thanks so much. Thank you for visiting our blog. Feel free to give us a call at 855.853.8558 and we can help you with this. Have a great day! We plan to build an 8×10 resin shed on a foundation of small packed stone with a 2×4 boarder. Would this be ok? Thank you for visiting our blog. Yes, that should be fine. However, we do not work with resin sheds often, so I would recommend contacting the manufacturer as well. Good luck! I’m having a 10×12 garden shed delivered, it will sit on 4×4 Runners. I want a flat foundation underneath to keep rodents and animals from digging under . What’s the best and cheapest route to take for that. The shed will back up against a hill would that be a problem with drainage.? Thank you. My current shed has rotting seal plates that need replacing. I want to move the shed and place it on a foundation, what would be the best method. Thank you for visiting our blog. You can start by reading our blog that covers this subject. . If you need any further assistance, feel free to give us a call at 855.853.8558. Have a great day! I am planning to build a 20 X 16 shed in my yard in Brandon, FL. I want to be able to pull my truck in to work on it at times. I will be putting it on a Wood deck platform. What it the best ideas for weight support for the 5K Lb. truck? IE: 2X6s, 2X8s what type f spacing is best and which direction should the joists be going in reference to the roll up door? And help would be appreciated. Thank you for visiting our blog. Since we do not build sheds of that dimension and designed for that purpose, we unfortunately do not have any information to help you. Good luck with your build! Have a great day! so, i used crushed stone as a base for my foundation. and although i had it tamped down and leveled, i am still having an incredibly hard time getting my 4×4 PT ties level. there is always a few rocks jutting up and making things difficult. and that is just one. next i’ll have to level the others with the first. any suggestions? also, for a 12×12 shed, lying on PT 2x4s (which will be on top of the PT railroad ties) how many 4×4’s would you suggest. Thanks for visiting our blog. You could get away with two 4×4’s, but we would suggest three. One for each side plus one support down the center. Our best suggestion for the leveling would be to use shims to help level it out. I added a link to our shed leveling document that shows this procedure. Hopefully this helps. thanks for the advice, however i can’t see the link. Sorry about this. Lets try it this time. 4 x 4 treated lumbers as my foundation. Do you think 5 pcs of 4x4x8 will be enough to do the job? Please give our customer service helpline a call at 855-853-8558. We can help answer your questions better over the phone. Have a great day! Im going to build a 10’x20′ foundation,would 3 pt 4x4s do the trick. Would I have to put them on 6″x8″x3″ solid blocks,with a gravel base? I’ve already checked with my building comm.so I don’t need a permit or anything else. I’m planning to build a 10′ deep,12′ wide, and 14′ high barn style shed. about 5′ of the width is a porch. I’m concerned about underground power and gas lines, so concrete anchors are worrying me. Would 4×4 runners on dek-blocks be sufficient as a foundation? I am building a 12×16 shed and i get alot of run in my area so i dont want to put it on a slab, what could work to build it on 4x4s? Thank you for visiting our blog. 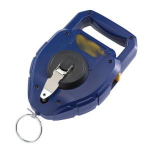 Using a 4×4 foundation is our standard operating procedure, so this would not need any customization. If you have any other questions, feel free to give us a call at 855-853-8558. Have a great day! We’re thinking of buying a vinyl/plastic shed and placing it on a pre-existing concrete boat pad next to our house. Any suggestions about this idea or pros/cons? Thanks for the very informative site. I’m building a 10 X 12 gable shed and plan to use PT 2X8’s instead of PT 2X6’s for the floor along with either solid concrete blocks or deck blocks. Is the spacing of the blocks the same with both size joist? I would rather avoid using 4X4’s if possible. APPROX HOW MANY 4 X 8 X 16″ SOLID CEMENT BLOCKS FOR A 10 X 14′ SHED FOUNDATION? I am planning on putting a 10×10 shed directly on my wood deck. The deck is solid and there are no concerns about holding the weight. My question is, can I use the deck as the foundation, or do I need to lift it off the deck to allow for air flow? There are no spaces in deck. Thanks. Thank you for visiting our blog. We always recommend finding some way to allow air to flow under the shed. Especially if you live in an area that is humid and receives a lot of rainfall. Without air flow, water will often just sit there and soak into the wood. That is our suggestion. Feel free to give us a call if you have any other questions at 855.853.8558. Have a great day! Hello, i will purchase an 8’x10′ shed and use it as a play house for my two girls. However, we have built and elevated platform 5′ above ground. Is there anything a should pay particular attention to? Just make sure there is enough air flow flowing under the platform. Want to keep away moisture and standing water. Good luck! I am planning on putting a 12 x 16 shed on pavers. What do you recommend that I use to raise the shed foh dation? Thank you for visiting our blog. Are you using pavers as blocking or doing a large area with pavers to put your shed on? Either way, we recommend using pea gravel under pavers or blocks for drainage, then leveling by adding more blocks or pavers and avoid building leveling materials going higher than 16”. Can you describe how you are using the pavers under the shed treated floor frame? I am considering purchasing a 20 X 8 building and using it as a workshop/additional living space–it is insulated & currently includes toilet,vanity sink, hot water heater, 5 Ace dry wall, Cedar soffit and fascia, custom shingles. I have a 10×12 shed being delivered soon, should i use pea gravel or paver base gravel for under the blocks? The company building the shed only provides the blocks for the support base as shown in one of your pics… Ive read online that its good to use something below. Thank you for visiting our blog. You should use something below blocks for drainage and leveling. For best results – no slippage of gravel – we suggest using medium grade, construction gravel. Please let me know if you have any other questions. Have a great day! I am having an 8 x 8 shed delivered. they use treated wood for foundation. would cement blocks be better? Yes, cement blocks would be the best choice. I see you suggest the concrete slab be the same size as the shed. Is there any reason why it shouldn’t be larger? Id like to have it 12-18″ wider all around shed for plants n decor. There is no reason a foundation cannot be larger than a shed. Treated sill plates are required when installed on concrete. This keeps the siding above concrete which is required to avoid contacting concrete and degrading siding. Please give us a call at 855.853.8558 and we can help answer your question better. Have a great day! I am purchasing a 12×16 building, I understand that a concrete slab is recommended, my question is there is a small slab of concrete there already can this be used and add to it? And how thick should it be. A concrete slab is one option to a foundation for your 12×16 shed. But this shed can also be built on a 2×4 treated floor frame (or larger floor frame) and OSB, plywood or other floor deck material. Constructing 16” on-center for joist spacing is the minimum recommended. Build at 12” on-center joists if for heavier use. You could add a concrete slab next to an existing slab if you choose. A slab used for general use such as storage should be 4” thick. If for some reason you use the shed for a garage 4” thick should also be the minimum. But if a heavier vehicle like a truck the slab would be required to be thicker. For concrete slab requirements always best to ask your local supplier for recommendations based on your intended use and any local code requirements. Thank you for visiting our blog. Please let us know if you have any other questions! Thank you for visiting our blog. Yes, the 16×16 Aspen is a great choice as it offers lots of storage space and overall value. 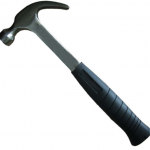 We would recommend footers that are slightly smaller than your typical one car garage. Considering ground movement, you definitely want that slab on a solid foundation to keep from cracking. Yes, the concrete pad can act as a floor with no wood floor needed, the bottom plate has to be a treated material. You’ll want anchor bolts placed in the concrete to place the treated plate to hold the shed to the concrete floor. THe shed is a true 16’x16′, so 192”x192″ are the dimensions. Great questions. Feel free to give us a call at 855.853.8558 if you have any other questions! Looking at a 8×10 shed. Struggling with the foundation. Price is not important to me. One person told me crushed gravel would be fine, the other told me gravel would likely over time cause the doors to not close properly due to sinking. Is concrete the only way to go? Or can crushed gravel be AS GOOD as concrete over time? Are there any reason to not go with concrete, other than price? Thank you! A dog kennel. I wanted to know if using crushed asphalt would be a good ideal as a fill? We recently removed our 12 x 10 shed due to opossums living underneath and mice making visits. We are looking at a 6 x 5 resin shed and we want it to be stable and eliminate any unwanted guests! Our plan is to have a concrete pad poured and we heard the pad should be the same size as the shed to keep water from gathering around the shed. Are we on the right track or do you have other ideas? Thanks! Thank you for visiting our blog. Yes, you are on the right track for sure. A concrete pad would be perfect for a solid shed foundation and will keep the rodents we all love so much from getting in. Good luck! I found your blog and wanted to ask you for your opinion. I had a 10*12 shed installed. I was concerned about drainage so I had them build me a deck, using a 12 post with treated wood cemented into the ground, about 12 inches off the ground, and then a 10×12 shed on top of it. Have u heard anyone doing that ? Thank you for visiting our blog. The method of leveling above a wet area is a very good option in this case. Other than a deck, you have your shed on this is a typical method used when raising a shed foundation off the ground. We even have some applications where we do exactly this type of post and concrete then attach the floor frame to the post. As long as the deck is solid, supports your shed, no concerns here. It should a very reliable foundation method. Feel free to give us a call if you have any other questions. Have a great day! Concrete is a bit out of our area of expertise. Typically we recommend consumers get suggested concrete thickness or foundation specs from a local source (frost line, soil conditions, etc.). Similar to my concerns are in these websites. I just built a resin shed that will need a foundation 551/4″ x 271/2″. With this smaller footprint, should I build a foundation with pea rock and concrete pavers? Would 16″ square concrete pavestones (step stones) work? Going to build a 8×20 lean to shed will 4×4 skids under it on top of gravel be good for foundation? The method you describe is perfect and one of our recommended methods for a shed foundation. Gravel allows leveling and water drainage. 4×4’s directly on the gravel are exactly what we’d specify for attaching your floor frame to. So, you are on the right track! Good luck! I have saved a 8’x 6′ shed from rotting any further. I managed to jack it up and move it with 4″ pvc pipe to a new location. I jacked it up and sistered new 2×4 floor joist to the old badly rotted one and reframed them with new 2×6 around the exterior parimeter of the floor. A. Adding two skids to rest it on the ground. B. Jacking it up, resting the exterior joist on a row of leveled cinder blocks. C. Resting the floor joist in 8 locations (4-corners, 2 in middle floor and 2 on center of longest exterior joist) on adjustable pier style blocks. This would allow me to adjust it level? You’re on the right track. The foundation option you described are similar to ours. Just be sure to level at each location for whatever method you choose. Download our shed foundation guide. Have a great day! I am building a 20 a 20 foot floor for a workshop in a space under my house so the area is always dry. There is already a crushed stone floor. Can I dig a trench, fill it with stone and lay 4×4’s or 2×4’s on top of it for a foundation? If so, would they have to be pressure treated? Do I even need crushed stone if use pressure treated wood on top of dirt Would concrete blocks or pavers with 2×6 headers be a better idea? Which is the least expensive way to go? I am considering putting a shed in my back yard, 10 X 10 Wood. How large of a base do I need to create for the shed to be secure on? I hear I need to make the base larger than the shed, so how much larger should the base be? I am putting a small shed on artificial turf grass that was just installed. The grade is at a slight slope. I can’t dig through the new grass for piers or gravel. Any ideas on how i can level the shed foundation without penetrating the turf? I am installing a 8×8 wood shed on an already existing concrete foundation (4 inches thick). So my foundation is bigger than the shed and it only is about an inch above ground, so I am going to cut it down to the 8×8 size. Is that want I should do? Also what size anchors should I use and how long? My sill plate is going to be PT 2x4s. Thank you for visiting our blog. You actually do not need to cut your concrete pad. The concrete pad can be larger than your shed. Regarding your question on anchors, please refer to our concrete foundation installation guide below. If you have any other questions, feel free to give us a call at 855-853-8558. Have a great day! rock down to cover the opening? Hi there I was wondering if you could help me and tell me how to insulate underneath a 9 by 16 shed that is sitting on cinder blocks on a concrete platform? It’s been there fore 16 years with no problems but now my shed floor on the inside is growing damp looking mold and everything in the shed smells musty. Thank you! Great blog. I am installing a 16×12 shed on an existing 4 inch concrete slab. Is 4 inches considered thick enough? Since the slab is preexisting I was going to use the anchors that are epoxyed into holes drilled into the concrete. Good idea? 1. I am planning on getting a resin shed with an overall width of 7’3″ and an overall depth of 7’3″. How big does the concrete slab need to be? 2. When I dig I to the ground do I need to lay down some type of material first, then rocks, then the concrete or is this not right? Thank you for visiting our blog. Hopefully this will help. 1. 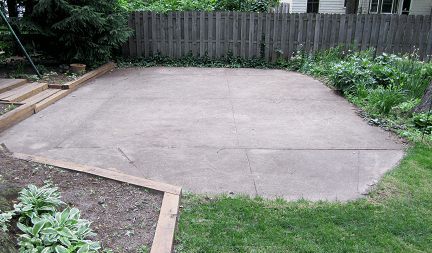 The concrete needs to be poured to at least the dimensions of your shed floor – 7’3” x 7’3”. The manufacturer would have specifics in their instruction for foundation size. 2. For under the concrete, only pea gravel is required. Concrete over the pea gravel. 3. Yes, it’s a good idea to use wedge anchors to secure the shed to the concrete slab. Even if 350+ lbs. the anchors assist for high winds. Please refer to the chart below for number of shed anchors and placement. Thank you for the information! But how big would the slab be if the shed is 7’3″ x 7’3″?? Oops, I’m sorry, I didn’t see the above information, just the link. Thank you so much!! Hi, Much appreciate this website and all the info you have shared. I am putting in a Lifetime 8 ft. x 10 ft. Outdoor Storage Shed. I was thinking to build a wood base 9 x 10. Is it better to make teh base exact size or bit bigger or no difference. I have removed teh grass, put rocks on teh base and going to use two 10 ft and nine 9 feet treated wood to make the base. We suggest to our customers to build a foundation that matches the shed size. Please let me know if you have any other questions. Have a great day! Building a 12×20 shed. Thinking about using 2×8 floor joints and rim board with the joists setting on 6×6 pt timbers tucked under the long 20′ sides with a 20′ 4×6 running parallel in the center. There would be support blocks at the 4 corners and in the center of the 12′ width. Then also in the middle of the three 20′ runs. Total of 9 support blocks altogether with them setting on gravel base ground. Does this sound like a good plan to you? All sounds pretty good and stout. Only recommendation is more block supports under 6×6 and 4×6. Here’s a 12’x20′ shed floor diagram for reference(not intended for your floor). But it shows more piers or blocks along the runners. We recommend supporting runners no more than 48” apart. 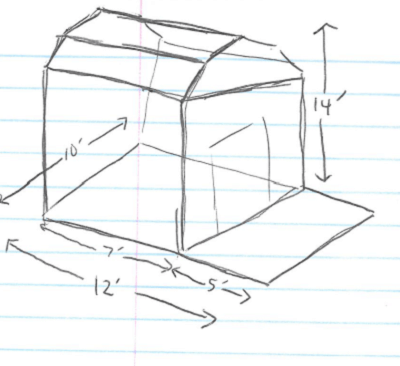 I’m trying to figure out what all needs to be done to be able to build a shed in my yard the specifications are as follows it’s a metal prefab shed that’s 14′ wide 31′ long and 8′ tall and weighs roughly 1800lbs, floor inside must be able to hold the weight of a full-sized truck and tools. Where do I need to go for permits and which do I need and what type of foundation do I need in order to support all the weight? Sorry for the late reply. We are getting busy. Wow! Seems like a long metal tunnel type shed. On permitting, that would be something your city hall could direct you on. For a foundation to hold that weight? Well, concrete will do. But that’s not our specialty so a recommendation from a local concrete source on thickness, reinforcement is advised. Other types of foundation like a wooden floor frame can hold significant weight and could hold a truck. I’m considering a 12×16 shed. We have gumbo soil. The area is a little low and doesn’t drain well. The shed would have a floor on pressure treated skids. Should I build the area up with dirt so it drains better or just go with the 1 to 3/4” crushed rock? Thank you for visiting our blog. You are on the right track. Build up the area and place crushed stone under any spot that touches the ground. Please let us know if you have any other questions. Thank you for reaching out. As long as water doesn’t get above gravel and leveling block and contact wood he should be fine. Yes, gravel under concrete blocks would be recommended. Sinking. Well, can always be chance of it sinking. But again he shouldn’t put in spot that stays wet all the time. A concrete slab would be great and he should ensure water doesn’t get above slab top surface. I hope that helps. Please let us know if you have any other questions. I am planning on putting an 8 by 6 foot or smaller resin shed in my back yard.There is already a cement floor. Besides buying and assembling the shed what else do I need to do and purchase?We live in Queens,NY. Thank you for visiting our blog. Sounds like you’re on the right track in prepping your shed for assembly. Only thing I would suggest is to check with your local HOA/building inspector to see if there are any building restrictions in your area. The restrictions vary by region. Have a great day! I am planning on purchasing Everest 16×24 to transform into livable 2-story cabin. I am thinking about installing crawl space under 1/2 the shed (16×12) and a slab under the other half. 1. Would this work assuming the slab and top of crawl space are level? 2. Would 4 inch slab be sufficient for the slab? 3. Any suggestions when installing slab regarding running pipe for plumbing? 4. Any suggestions when installing slab regarding electrical wiring? Hi Im tearing down an existing 10×10 shed that is on a concrete slab. The new shed will be 10×25, so 15′ of the shed will be on soil and was wondering if Deck/Handy Blocks would be good enough to support the other half of the shed. Also when using handy block’s will it be fine to just to go on top of soil, or will it require gravel or some concrete underneath? We recommend gravel, blocks, and then 4×4 runners. Typical of our current sheds that are not being put on a slab. My husband will be putting up an 8×10 vinyl shed. I was suggesting to use concrete blocks for the floor. I found some that are 2″ and measure 8″x16″ in size. How many should I purchase to complete the floor foundation for my 8’x10′ shed? Live in NJ and need an 8 x 10 shed. The company that I was maybe going to use wants to use RCA Stone. I believe they tamp it down. They are telling me no perimeter is needed unless its over 12″ thick which of course it won’t be – only 4-6″. I am buying a wooden shed and moving it to my yard from another location in my home town (Indiana). The shed is 10’x12′. The location I am putting the shed currently has crushed gravel. Do I need to put down anything else, foundation-wise? Crushed gravel should be fine. Allows circulation under your shed. Good luck!